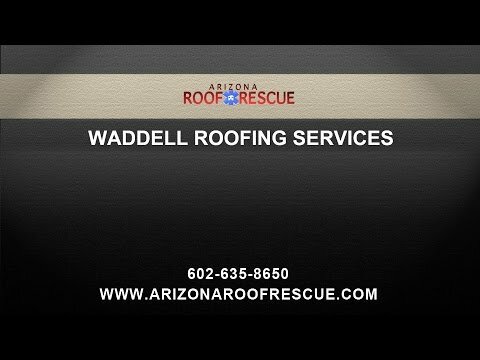 Arizona Roof Rescue » Blog » Waddell Commercial and Residential Roofs: Is There Really a Difference? A roof is a roof, right? Or is it? Oftentimes, I have clients ask me why roofers emphasize that we are able to do both, commercial and residential roof work, after all, a roof is there to protect the house and all in all most roofs are alike, right? Yes and no. While generally speaking the function of the roof is the same for either structure, the way they are constructed can be very different. If you have ever wondered about the major difference between commercial and residential roofing, learn more in today’s blog! Your average residential roof is, of course, much smaller than a commercial roof. While a residential roof can be installed over the course of a few days, a commercial roof takes much longer. Additionally, you may be surprised if only two or three tile roofers show up to install your new roof, while a commercial roofing install typically requires all hands on deck. An average residential roofing structure in Waddell generally features a steep slope, may have gables, and other protrusions. In contracts, commercial roofs are only slightly sloped or completely flat. Flat roofs are much easier to install on big structures which is why most commercial roofs are flat roofs. The differences in structure and shape are reason for different type of roofing problems that may occur on your residential or commercial roof and why it is indeed important to hire a commercial roofing contractor when you are dealing with issues on your commercial flat roof. While most Arizona roofing companies specialize in both types of roofing, it is always better to make sure when hiring for a specific roof type. When it comes to commercial roofs, there are several things to consider. For one, the sheer size of them makes them more vulnerable and also drastically limits the roofing options available. Residential roofs come in many different shapes and options, because their smaller size makes for much more flexible roof design options. The area for possible roofing problems or damage is much larger and flat roofs by nature need repairs much more often than residential roofs ever will. When installing a commercial flat roof, your Waddell roofer has to be aware of the structural concerns that come hand in hand with the installation of such a large project. It has to be able to handle equipment that is going to be on top of it, if your building is in Northern Arizona, you have to consider if your roof will be able to withstand the weight of snow during the winter. In fact, the entire support system of the roof is completely different. Materials available for commercial roofing structures are also much more limited than for residential roofs. What may be a good choice for a home in Phoenix, may not be for a large shopping center. For cost efficiency and due to weight limitations, commercial roofers use modified bitumen, metal panels or Single Ply. However, asphalt shingles, which are popular with residential roofers can also often be found on commercial roofing structures. Commercial roofs are far more expensive than residential roofs. This is of course, partially to the sheer size of the roof, but also because of the specialty equipment that is needed for the install and/ or repair. Because price always is an issues, green roofing options can be a wonderful solution for your family home, but aren’t cost effective at all for a large building or commercial roofing structure. For that reason most flat roofs are made of the same materials which we have already mentioned above. It takes much longer for a commercial roof to be installed than a residential one. But it also takes much longer to repair it. Not only because of its size but also the special issues connected with it. Having to find the weak spot, fix it, make sure nothing else get broken in the process, sealing it right can take a good amount of time. Projects that are completed fast in a residential setting can take much longer. For commercial roof repair services, speciality tools are needed. Special equipment that is needed to get materials on the roof, is used on the roof during construction, assures stability and much more is of the essence. Residentially focused roofing contractors may not have access or the funds to pay for these rather expensive tools and thus cannot provide the service needed. Larger companies are more likely to have the tools and the manpower needed for commercial roofing jobs in Waddell. 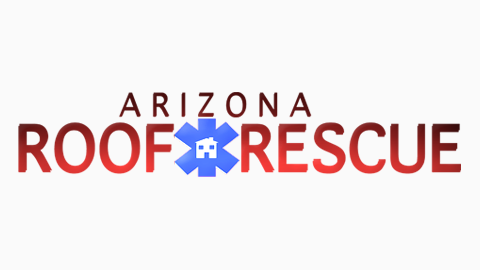 Arizona Roof Rescue is your premier Waddell residential and commercial roofing contractor who can assist you with any roofing services you may need. To learn more about our comprehensive roofing services such as shingle and tile roof installations, roof repair and commercial roof maintenance contact us today. Home » Blog » Waddell Commercial and Residential Roofs: Is There Really a Difference?